GRETNA – An auto insurer is being sued by a customer for allegedly undervaluing and taking too long to adjust her claim on a damaged vehicle. 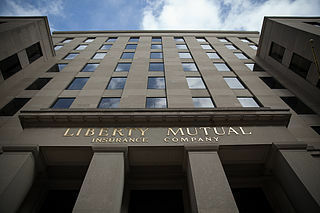 Dawn R. Williams filed suit against Liberty Mutual Insurance Corporation in the 24th Judicial District Court on April 24. Williams claims that she had auto insurance through Liberty Mutual for her 2008 Suzuki Sx4 on May 19, 2013 when it was damaged and noted as a complete loss. The plaintiff asserts that representatives of the defendant inspected the vehicle and continued to charge her premiums even after she had signed over the title. Williams alleges that the adjuster undervalued her insurance payment and did not adjust the claim within 30 days as required by state law. The defendant is accused of failing to adjust the claim in a timely manner, failing to pay the plaintiff’s claim, failing to properly adjust the case in a manner consistent with insurance industry standards and failing to engage and negotiate in good faith. An unspecified amount in damages is sought for damages in the amount of two times the amount of property damage sustained. Williams is represented by Michael G. Gaffney of New Orleans-based Hurndon & Gaffney.